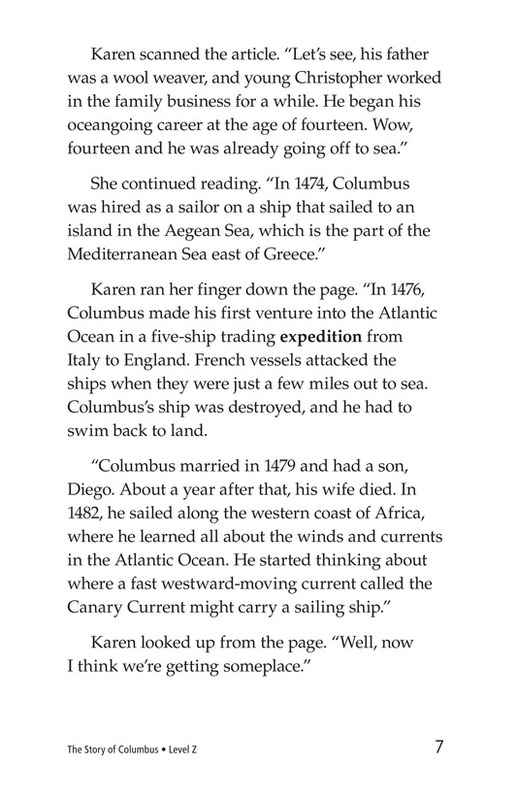 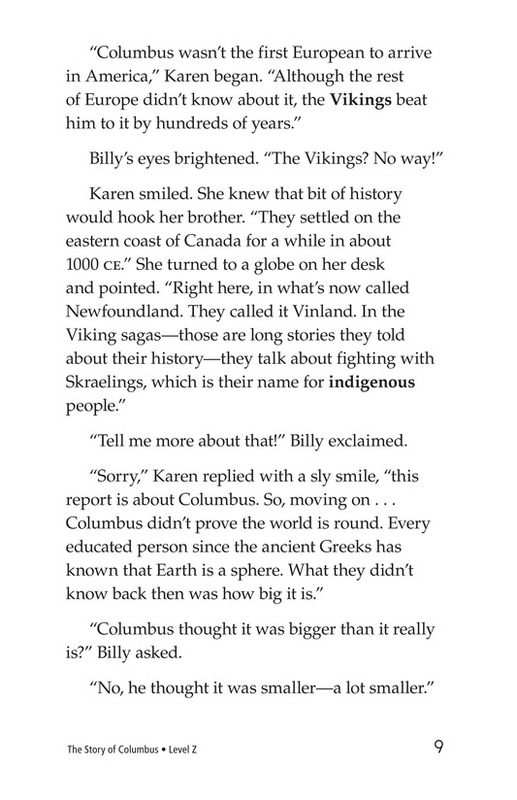 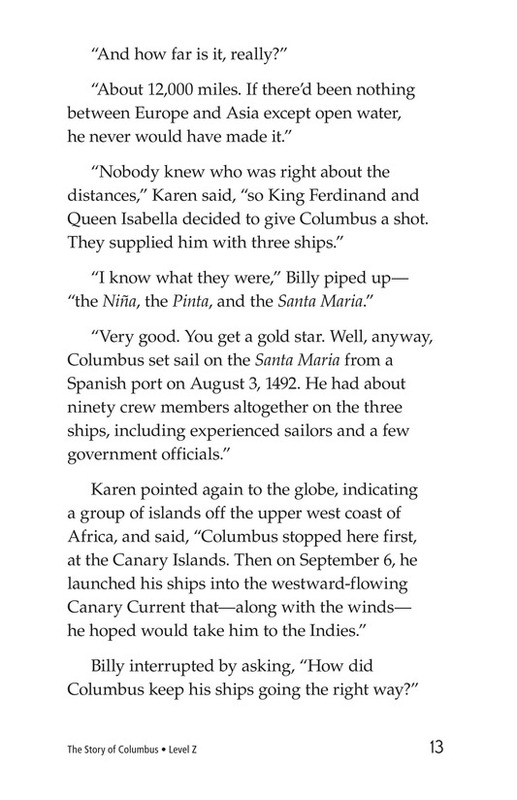 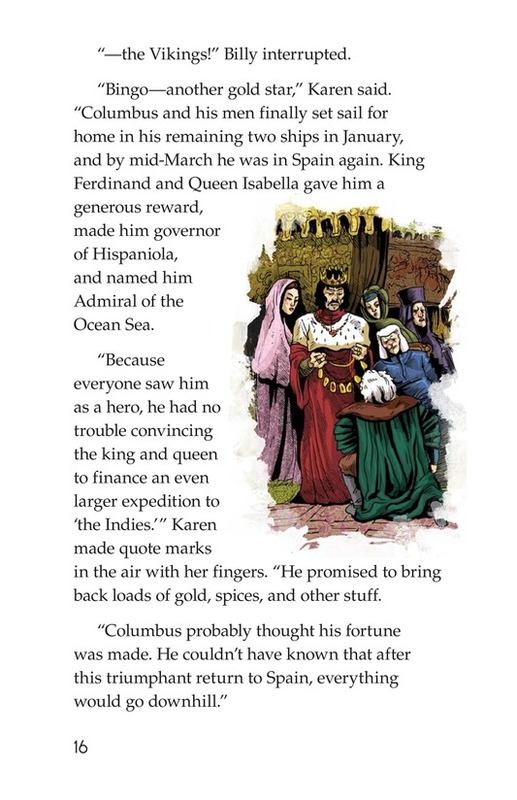 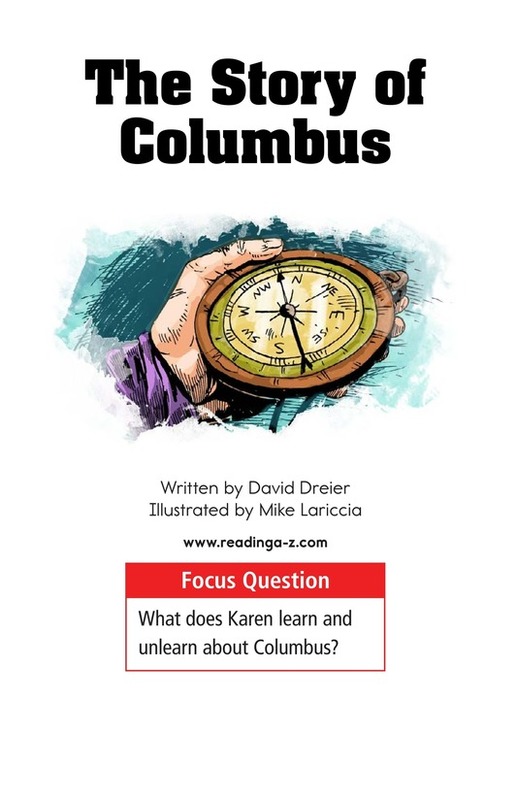 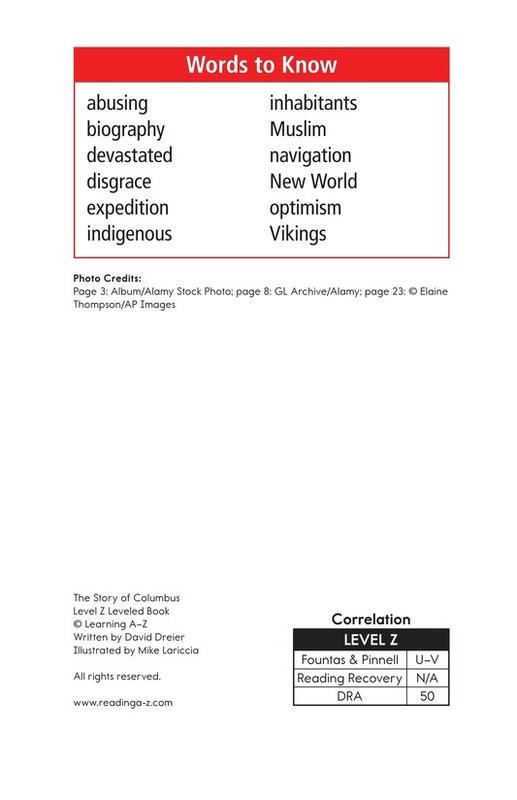 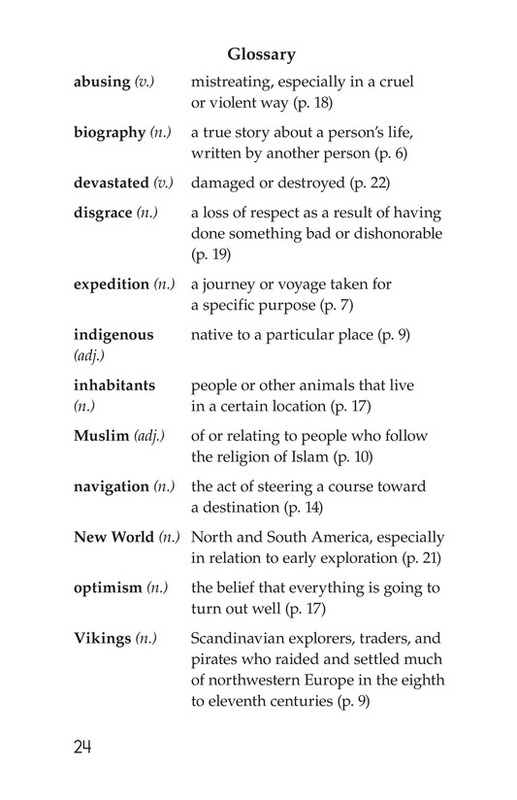 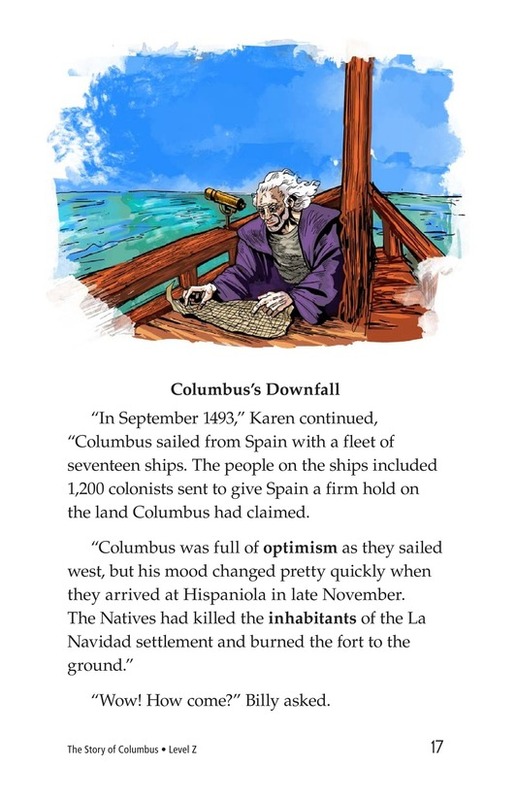 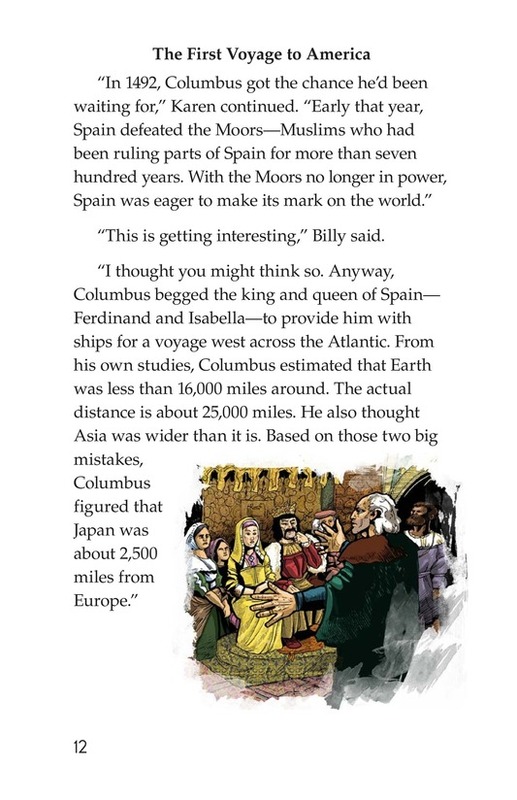 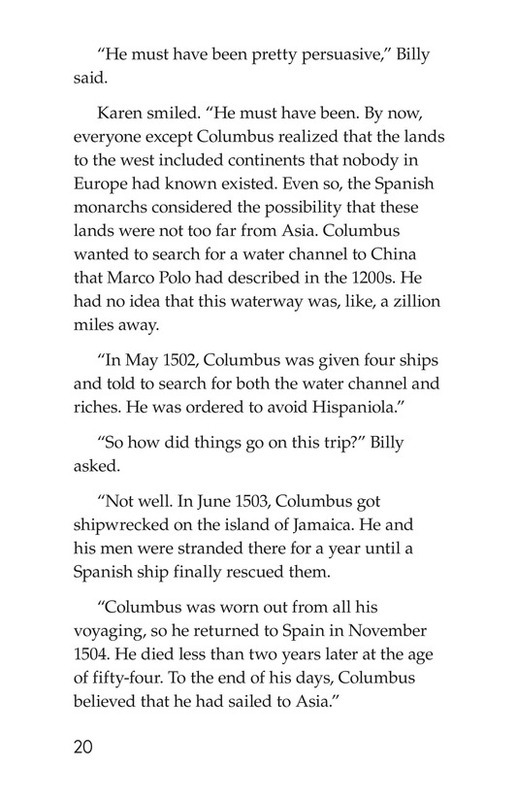 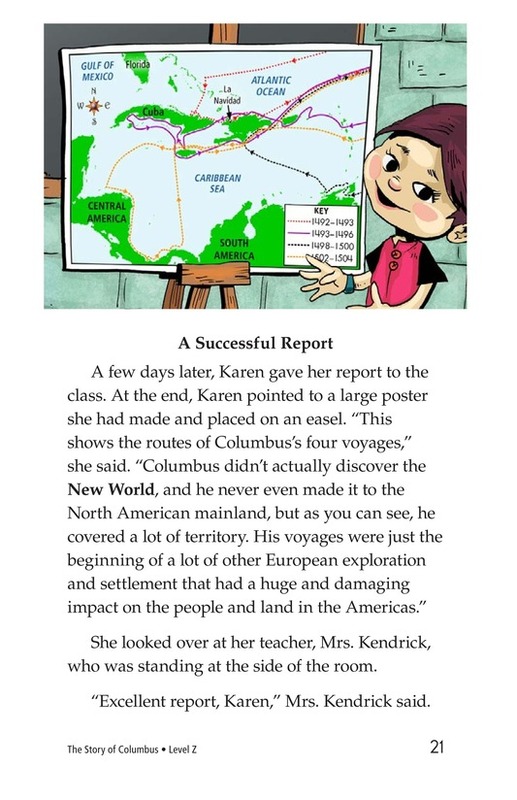 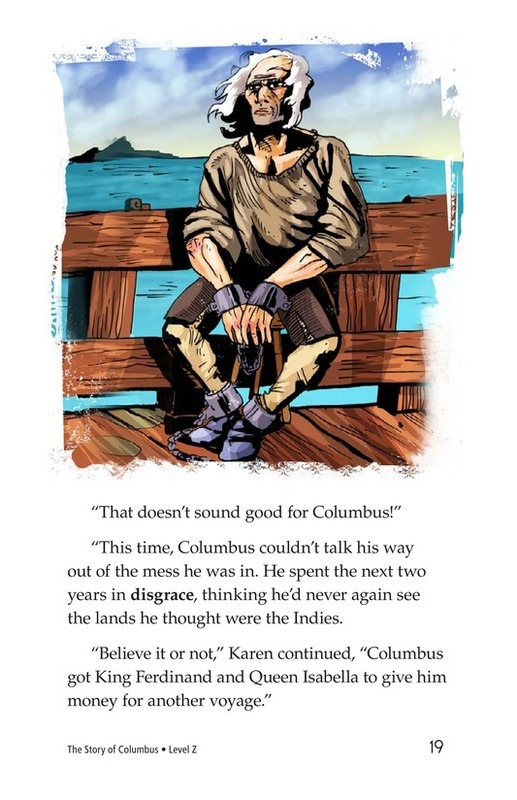 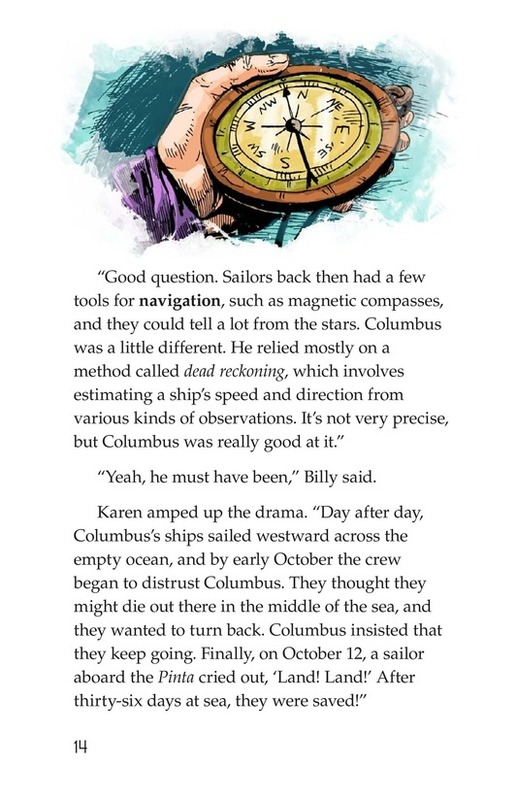 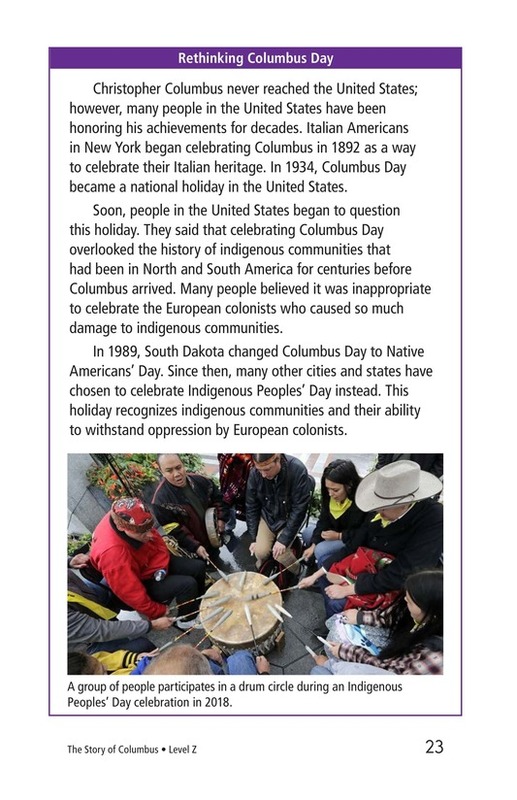 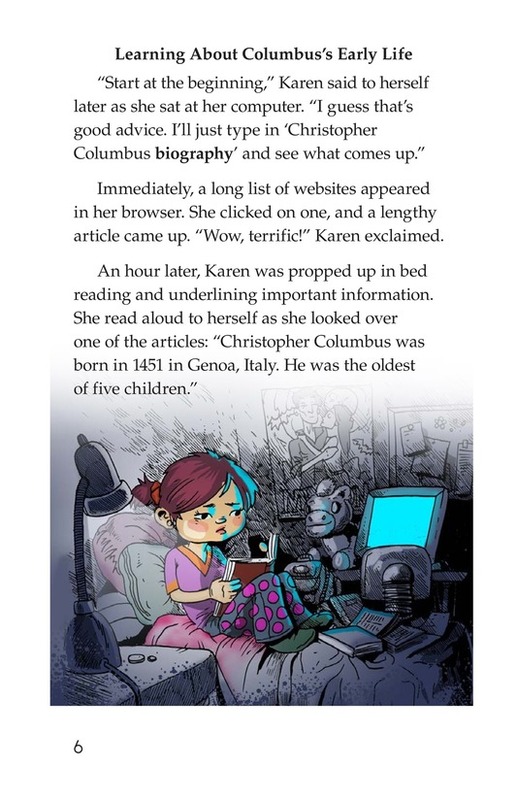 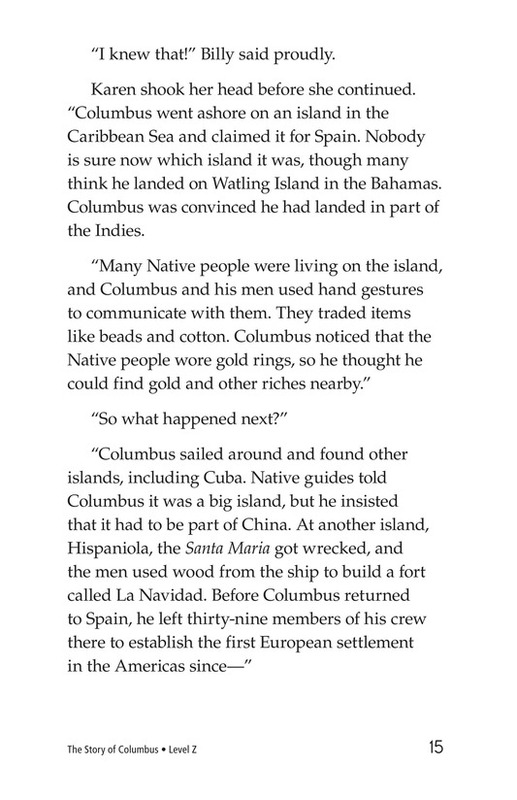 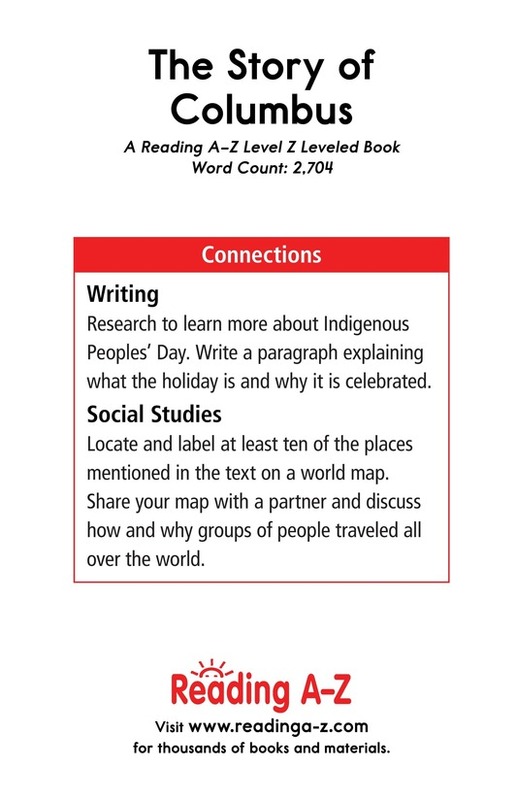 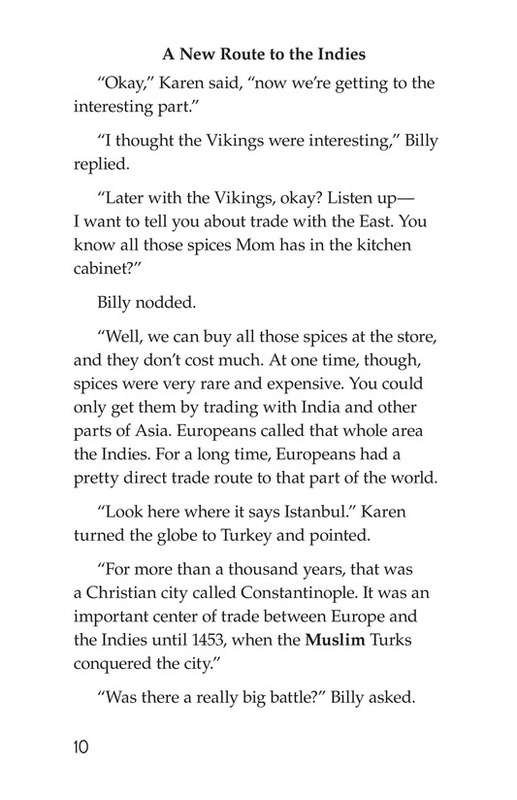 A girl named Karen is assigned a research report on Christopher Columbus. 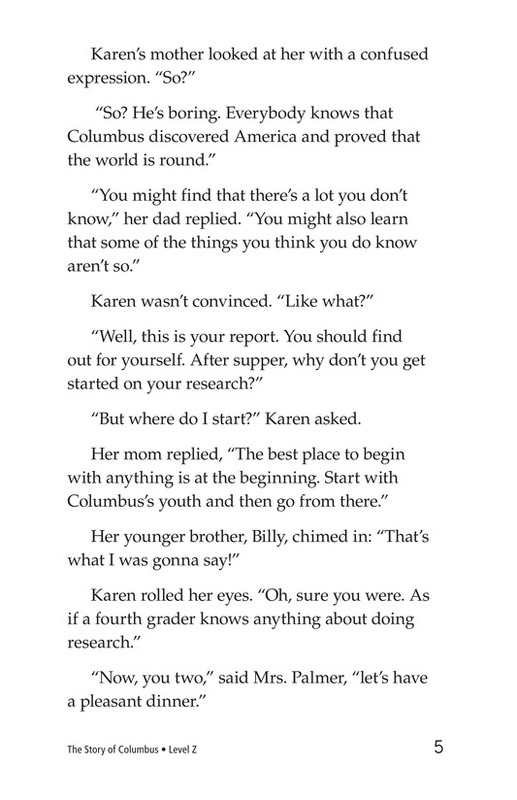 She is upset at first because she is convinced that she already knows all the interesting facts about her subject. 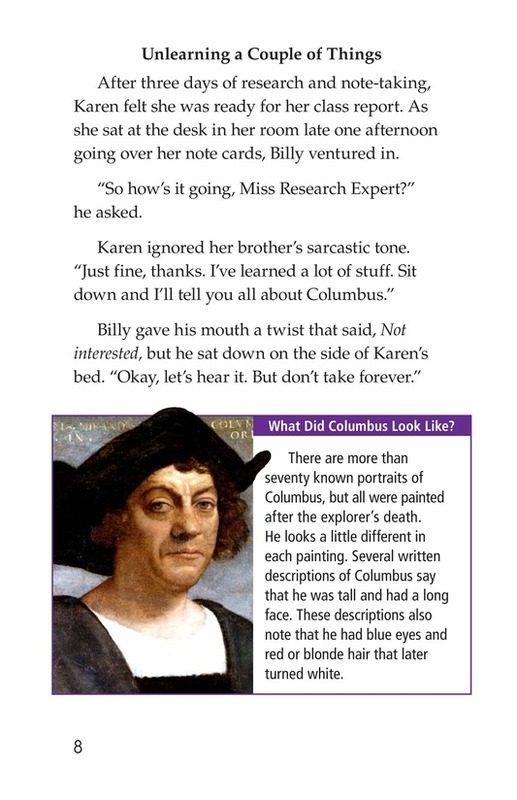 However, her research uncovers many exciting and lesser-known facts. 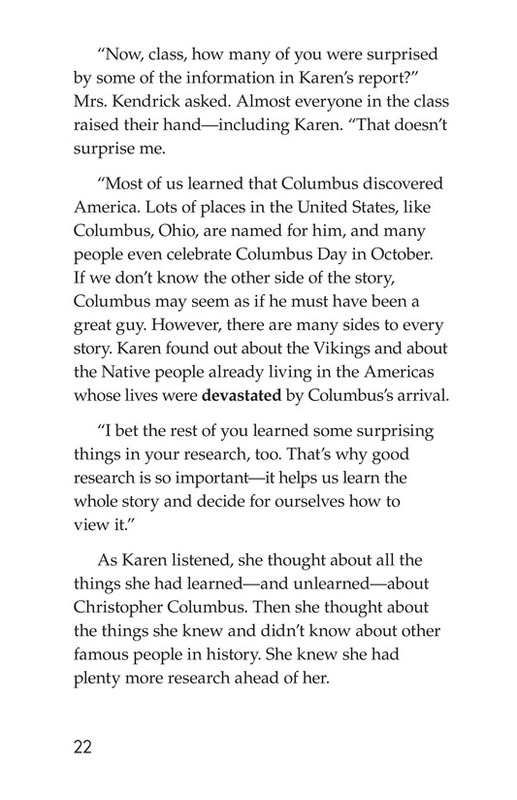 She fills in her brother on Columbus's unknown plights and failures as she reiterates what she's learned. 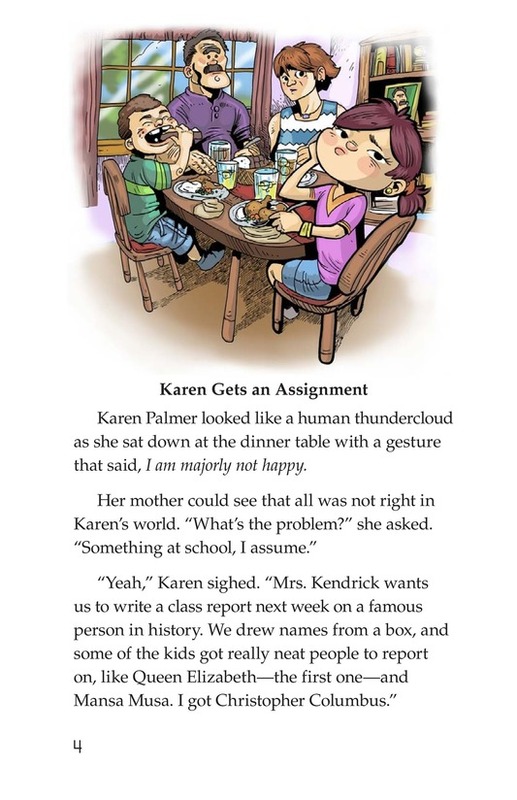 While writing her paper, Karen begins to understand that perhaps she has to "unlearn" some things about a national hero. 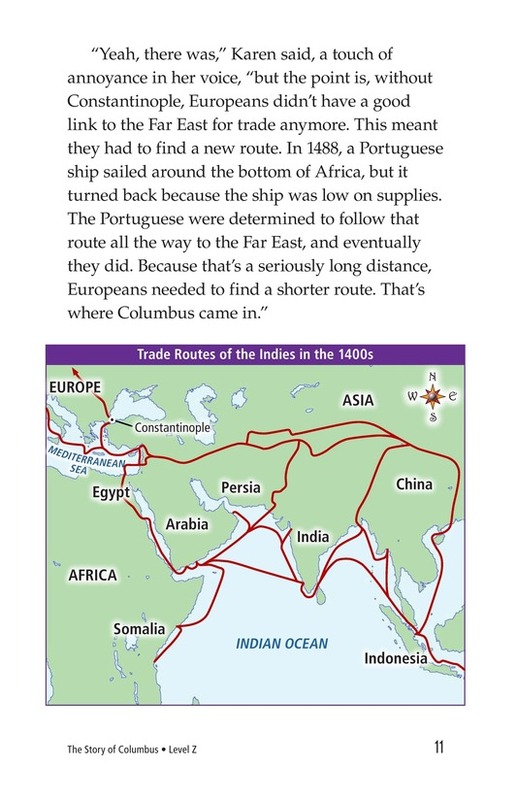 Illustrations and a map support the text.